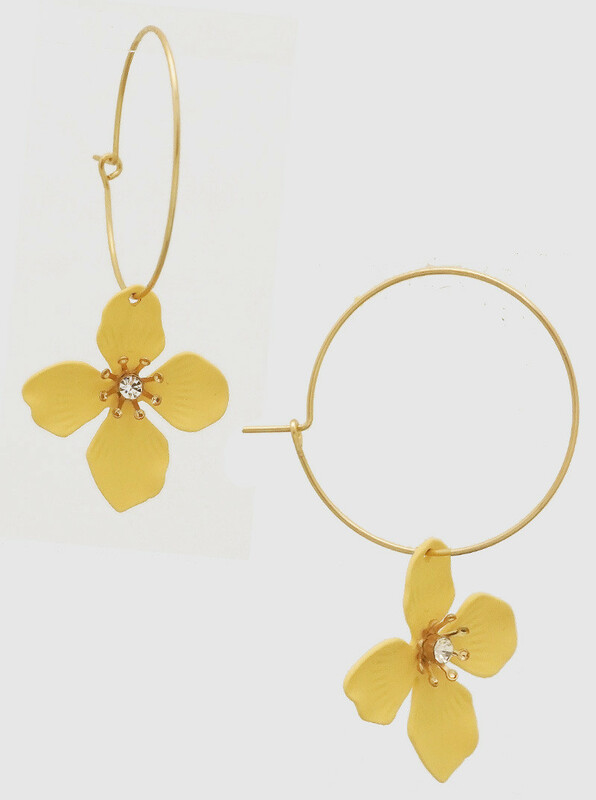 Gold hoops featured with this seasons must have floral decoration, featuring a cute diamonte in the middle. Super Cute! Hypoallergenic, hoop 1.5" diameter, flower 1" x 1"